Lahore, Muhammad Hafeez is the leading and most prominent Pakistani all rounder, who is well known for his promising batting and he is also well known for his spin bowling. He was banned due to suspicious bowling action but now he is allowed to bowl in the international cricket after improvement in his bowling action. ICC has given permission to Pakistani star all rounder to bowl in the international matches. The bio-mechanic test of the all rounder was held in the Lifbrough University, England on 17 April and he threw many balls. All of the bowls were found within the legal limit of 45 degree with the curve of the arm. If his bowling action is reported once again, then he will face the ban of 12 months from the international cricket. The videos of his corrected bowling action have been provided to the match officials so that they can strict supervision of the all rounder. 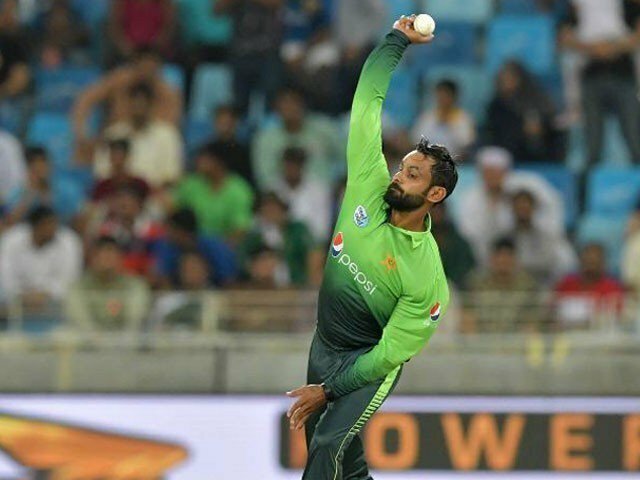 Now Muhammad Hafeez is hoped for his better bowling action and he said that he will try to improve it and he will contribute in the success of Pakistan. The bowling action of Muhammad Hafeez was declared suspicious in November 2014 during the test series but he was allowed to bowl in April 2015. When his bowling action was declared suspicious once again, then he will be banned for 12 months. He was allowed to bowl in November 2016 after the improvement in their bowling action.